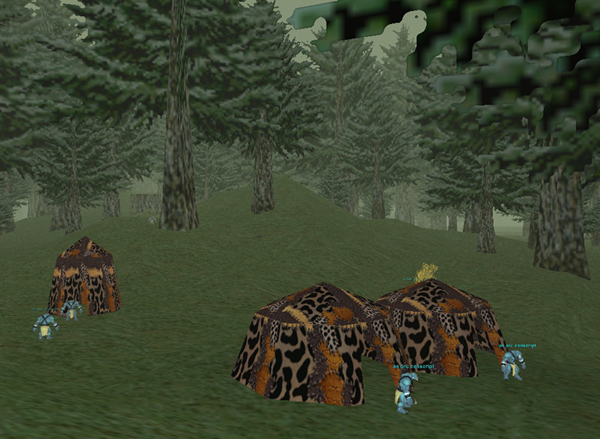 In the original EverQuest your character started the game with nothing other than a shirt and a pouch for storing loot, and you began playing the game by killing low-level monsters outside your starting city or village. You had no weapons to start with, so you had to punch the monsters, and snakes were a common low-level monster that appeared in all the areas meant for brand new players. When you died in EverQuest all your gear and loot remained on your corpse. To get your stuff back you had to fetch your corpse after you respawned, and if you didn’t complete the corpse run in a certain amount of time your corpse would vanish and take all your gear with it. When you were a low-level character that corpse could be carrying everything you owned. It was easy to forget where your corpse was, or to wander into a high-level zone by accident, get killed, and then be unable to get your corpse back unless a high level character protected you, because every time you went back to that high-level zone for a corpse run you’d just get killed again really quickly. Either one of these situations could result in having to start your character all over again with nothing but the shirt and the pouch. My friend logs into EverQuest one day, sees his buddy online, and asks what his buddy is up to. His buddy dejectedly answers “Punching snakes,” i.e. he lost his corpse and had to start all over again. Punching snakes, then, came to mean any sort of repetitious activity one suffers in a video game. It can be grinding in a massively-multiplayer-online game, building up your forces in a real-time-strategy game before you send them all out and get them killed, or working your way through tough sequences in a first person shooter or action game over and over again until you finally get past them. Punching snakes is any activity that becomes so frustratingly repetitive as to make you want to put the game down altogether. What I have realized is that punching snakes is not just a metaphor for doing repetitive, boring things in a video game. It also applies to doing anything repetitive, boring, or even stupid in the real world. If you find yourself punching snakes, you need to stop. I was afraid to ask for fear of appearing naive (in a gaming sense), so I’m glad your site has this page. Very amusing. Now THAT is a great origin story. cool 🙂 what a very interesting post. Cool. can I share this post to my blog? I’d appreciate it. Cheers!